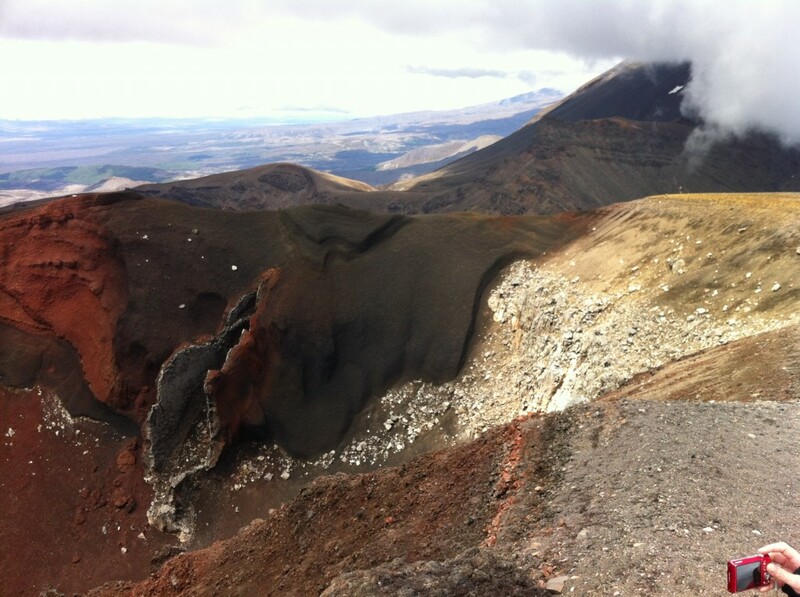 Tongariro crossing. A walk starting at 8.15 in the morning till 16.00. This is a hike with the most amazing views. From a place that looks like the desert, to amazing volcanic mountains, sulphur filled lakes, a wonderful blue lake, terraces and jungle with streams and raging water. It wasn’t always easy, but we all made it. Our new found Swedish friend Christian (31) had most trouble whilst our German friend Wilfried (74 years old) was running well ahead of us! There you go, age doesn’t say anything. Two days of kayaking tomorrow! Sounds absolutely fantastic JR hope your hiking boots are good and don’t give you blisters! See you soon mate !